... The language of the 14th Amendment’s citizenship clause contains two components. First, “all persons born . . . in the United States”; “and” second, “subject to its jurisdiction,” are to be automatically citizens. The phrase, “subject to the jurisdiction,” standing alone, can have two meanings: A full, allegiance-owing jurisdiction, and a partial, territorial jurisdiction. Anyone present in the United States (save for diplomats) is subject to her partial, territorial jurisdiction. Think of a British tourist temporarily visiting the United States on vacation, who is subject to the law that we drive on the right side of the road, not the left. Even those who are in the country illegally are subject to our laws while here. Subject to the full jurisdiction, on the other hand, involves some kind of allegiance, such as arises when someone has become, or is in the process of becoming, part of the body politic. The issue, then, is which of these two meanings was intended by the drafters and ratifiers of the 14th Amendment. I think, though, that Professor Eastman's position leads to the conclusion that children of lawful resident aliens do not have birthright citizenship under the provision's original meaning (though he denies it). I agree that there are two types of jurisdiction, based respectively on presence in the territory and on citizenship. But jurisdiction based on citizenship did not apply to lawful resident aliens, even if they had the intent eventually to become citizens. U.S. jurisdiction over them arose from presence in U.S. territory, as it did for temporary visitors and unlawful entrants. This is important because it's pretty clear from the debates that the Amendment's framers thought it gave birthright citizenship to the children of lawful resident aliens. (See Garrett Epps' account of the debates). And it would be very surprising if it did not, because children of lawful resident aliens had been automatic U.S. citizens under the common law as it stood before the Amendment. Thus I think it's also pretty clear (notwithstanding some lack of clarity in some of the debates) that the Amendment refers to territorial jurisdiction, not just to citizenship-based jurisdiction. 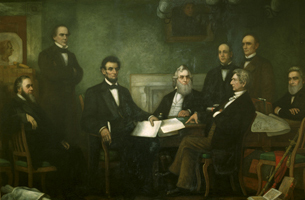 One of the interpretive moves for which Anton [in this essay] has been criticized is his handling of a statement made on the floor of the Senate while the proposed text of the 14th Amendment was being debated. And that dispute turns on the resolution of a syntactic ambiguity. 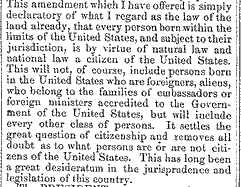 Howard said that the grant of citizenship [in the Fourteenth Amendment] ... did not extent to “persons born in the United States who are foreigners, aliens, who belong to the families of ambassadors or foreign ministers” (link). The post goes on to argue at length (and in my view persuasively) why that's wrong. But more broadly, this controversy illustrates one of several reasons why I think drafting/ratification debates are not the best originalist evidence. 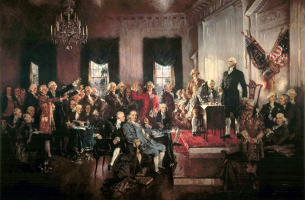 During the drafting and ratification debates, a lot of people said a lot of things, some of them imprecise, ambiguous, poorly reasoned, even incoherent. One arguably imprecise or ambiguous statement, even by so prominent a person as Jacob Howard, shouldn't be the centerpiece of the argument.